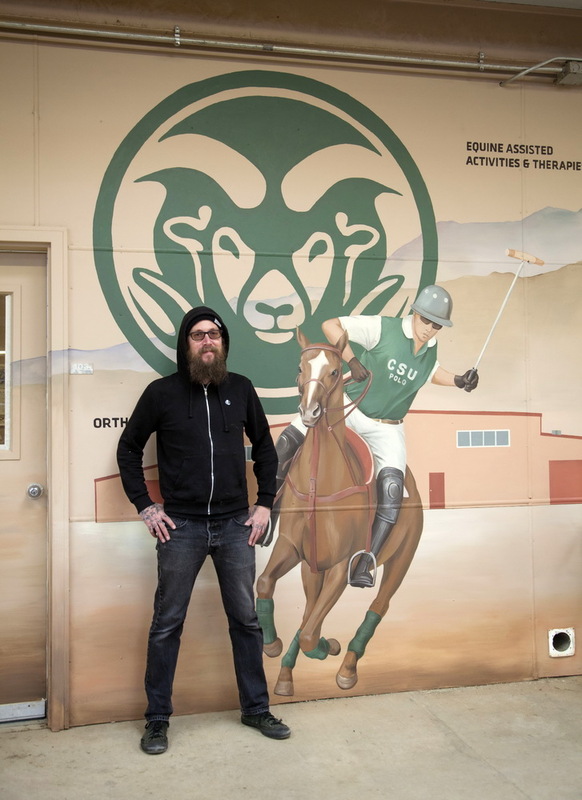 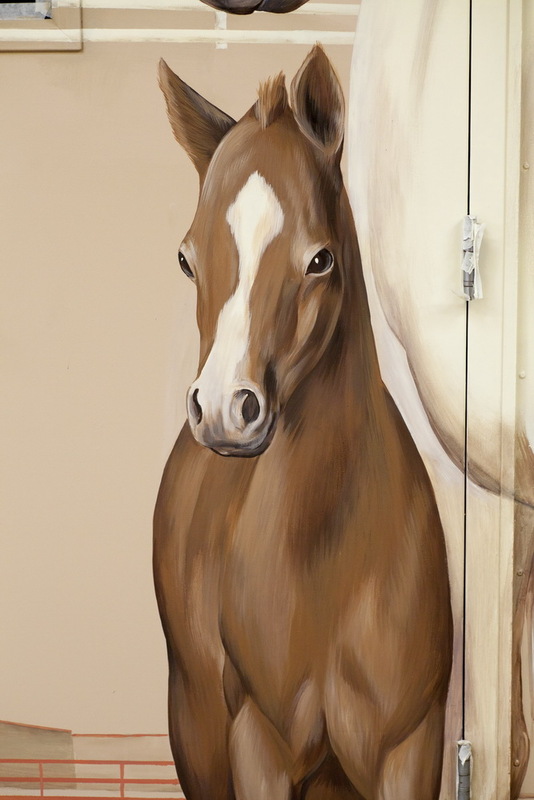 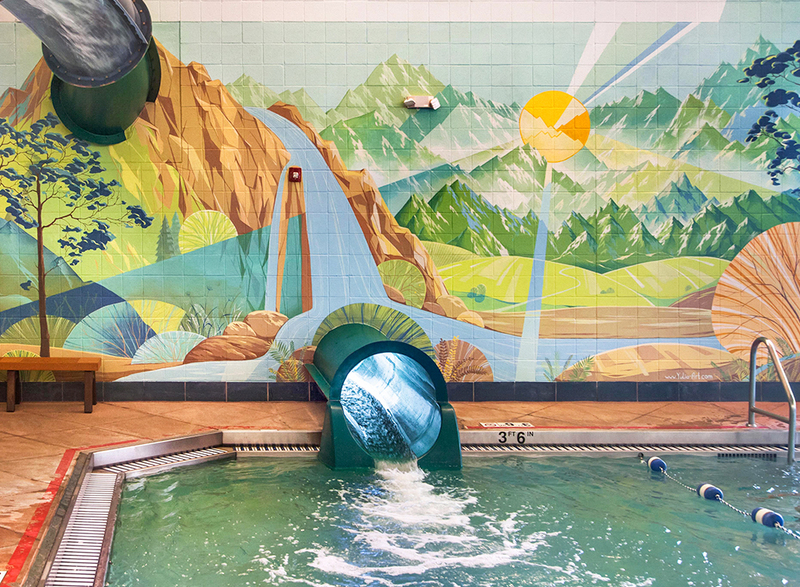 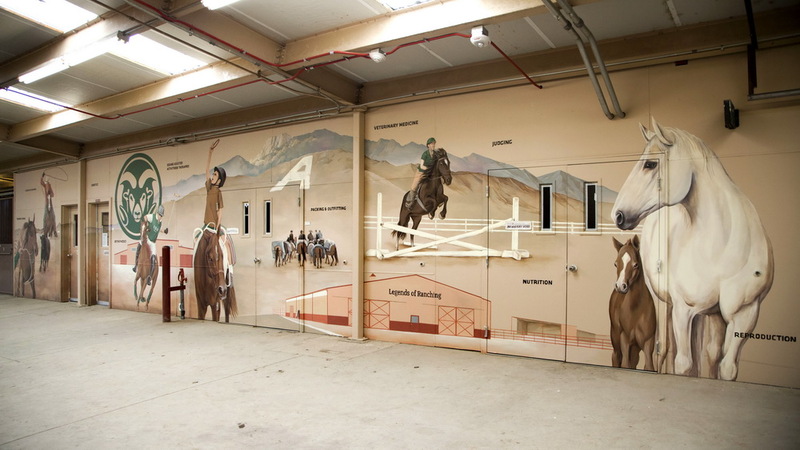 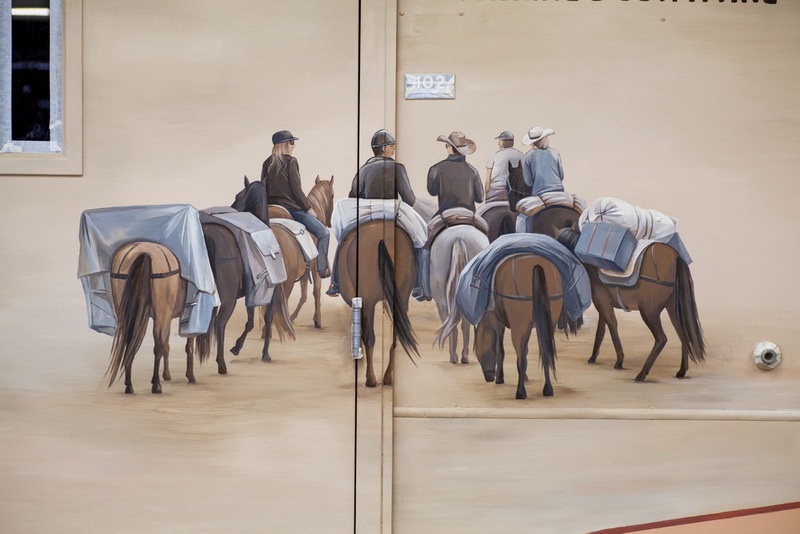 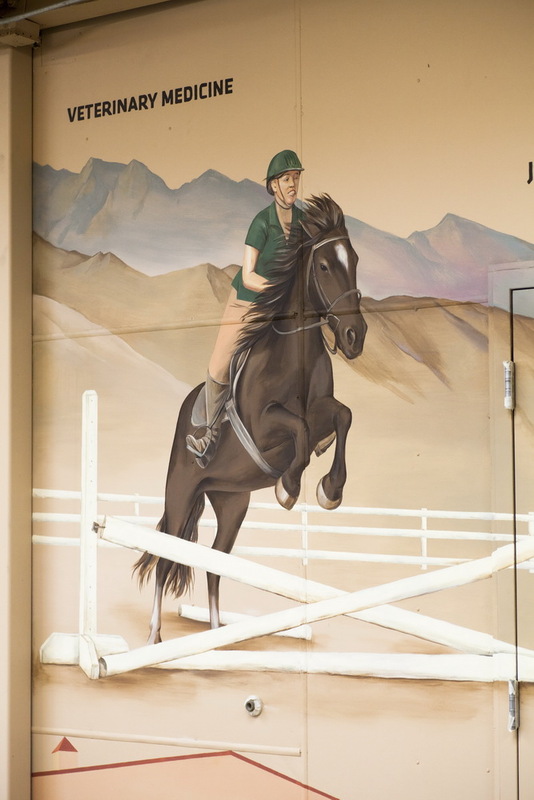 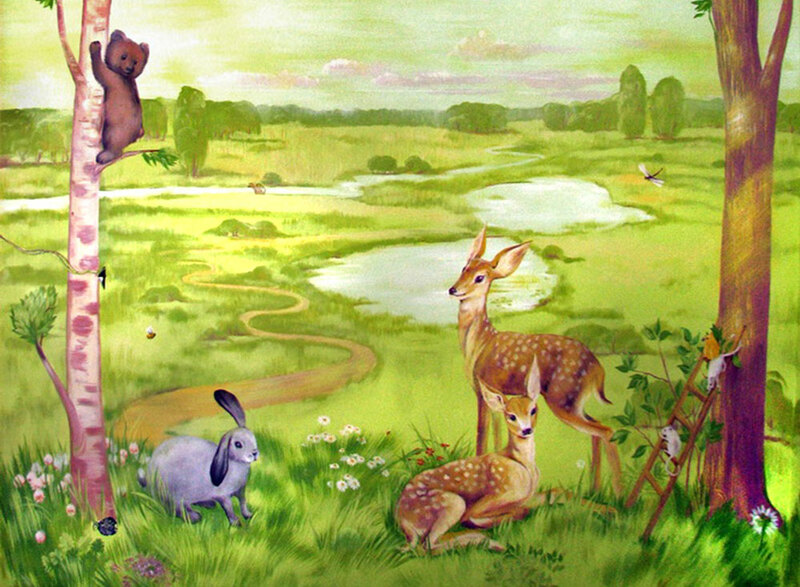 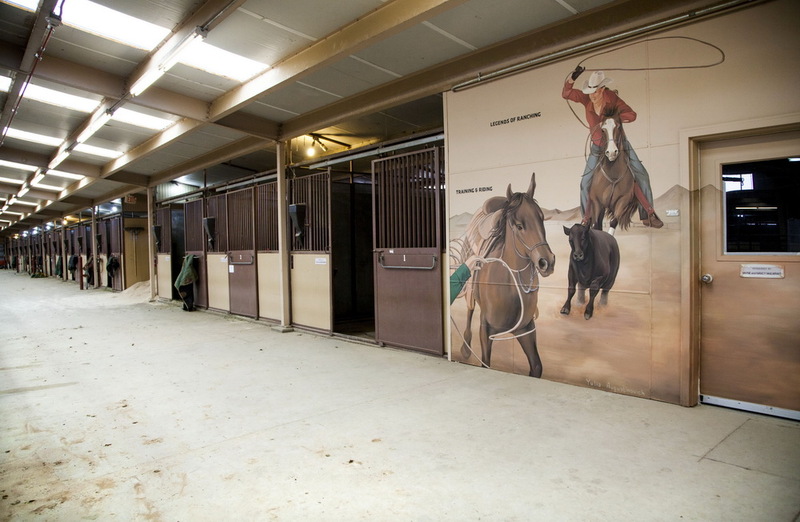 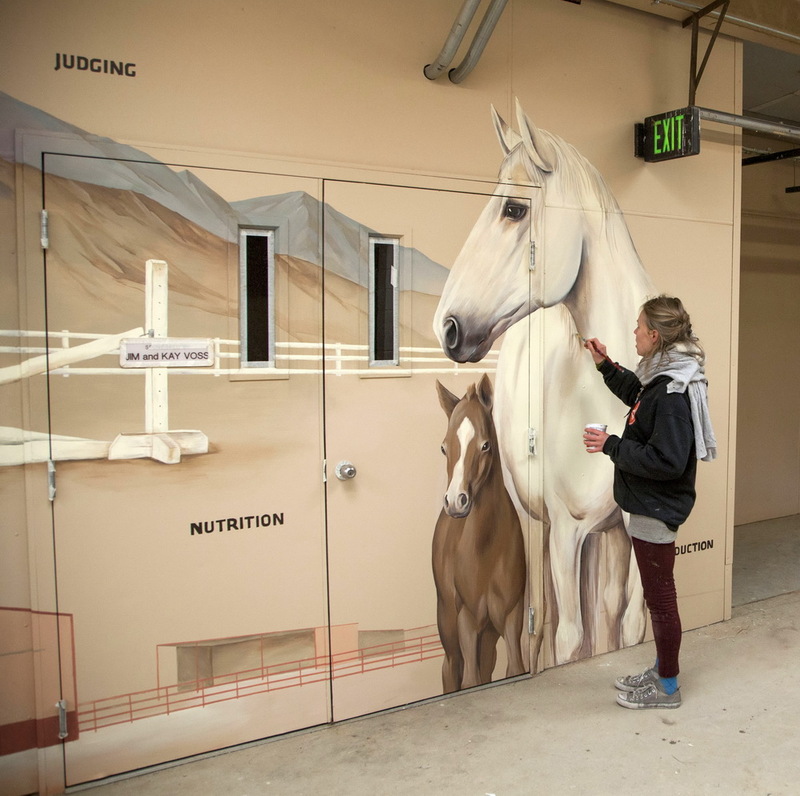 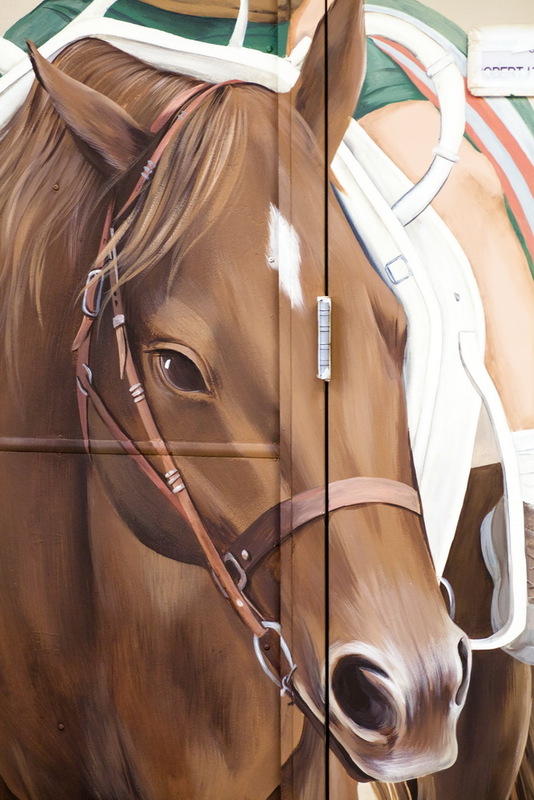 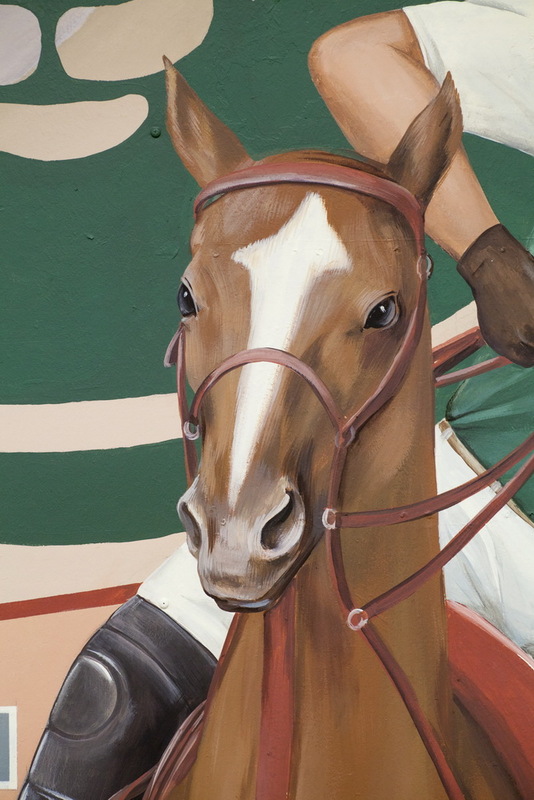 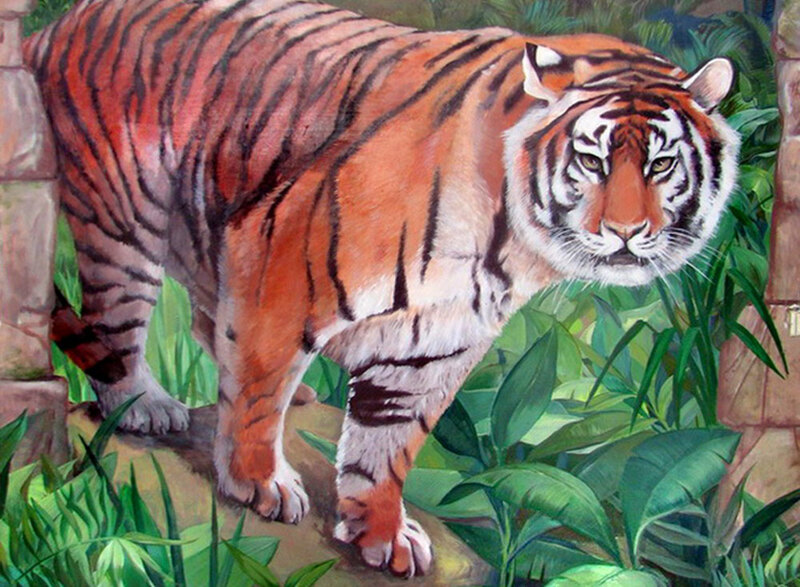 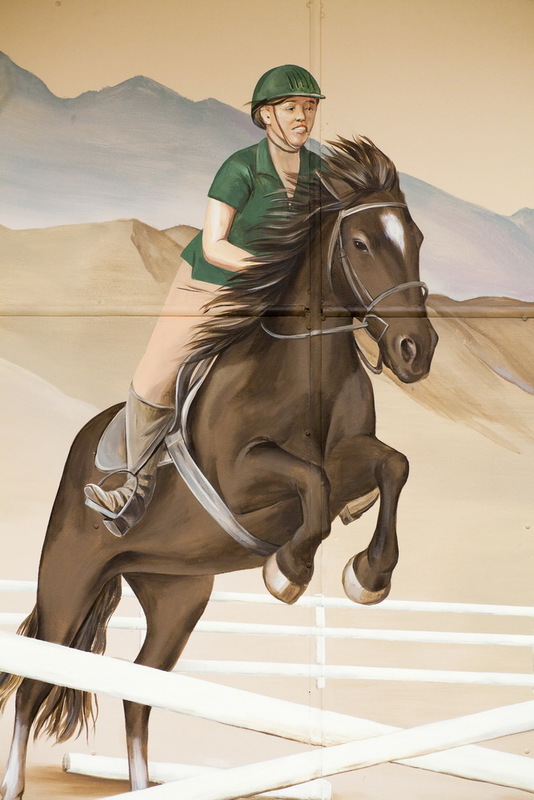 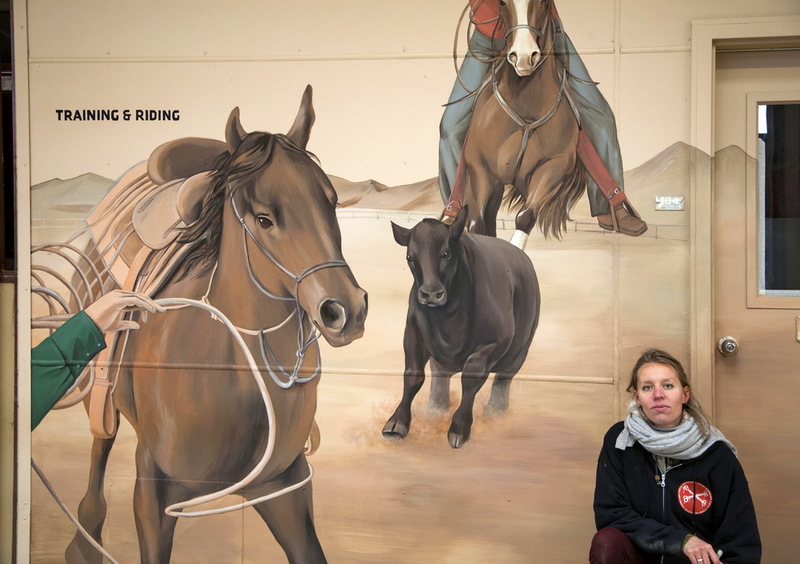 Mural for the Equine Sciences Center of CSU in Fort Collins, CO. 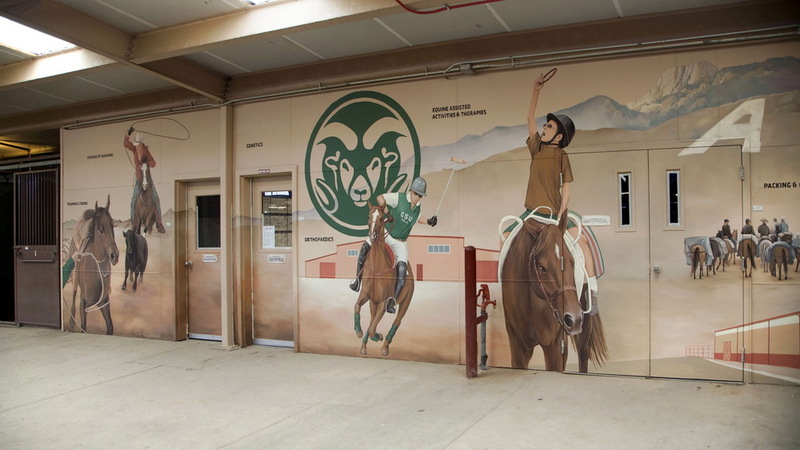 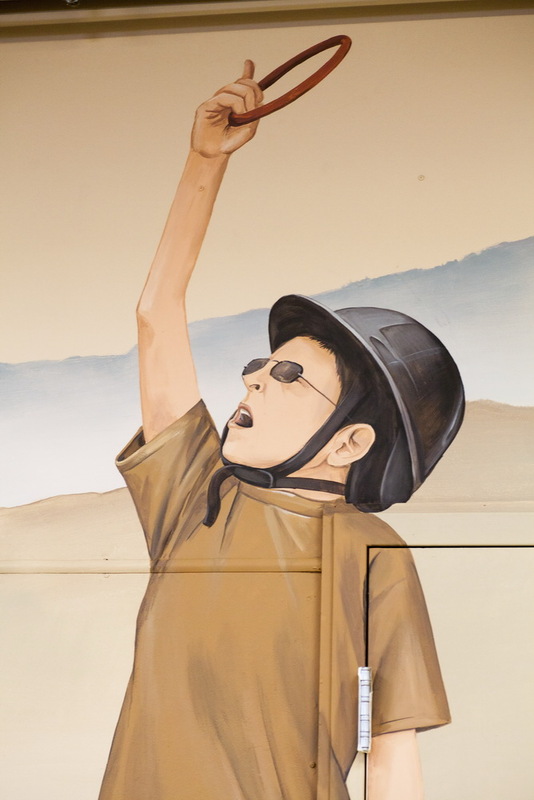 The mural is representing all of the programs and activities of the center. 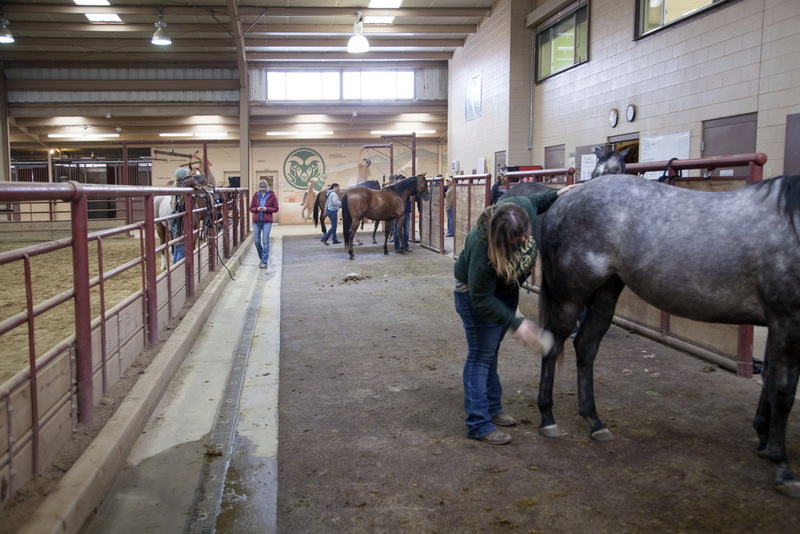 A head of a rocky mountain ram is the symbol of CSU. 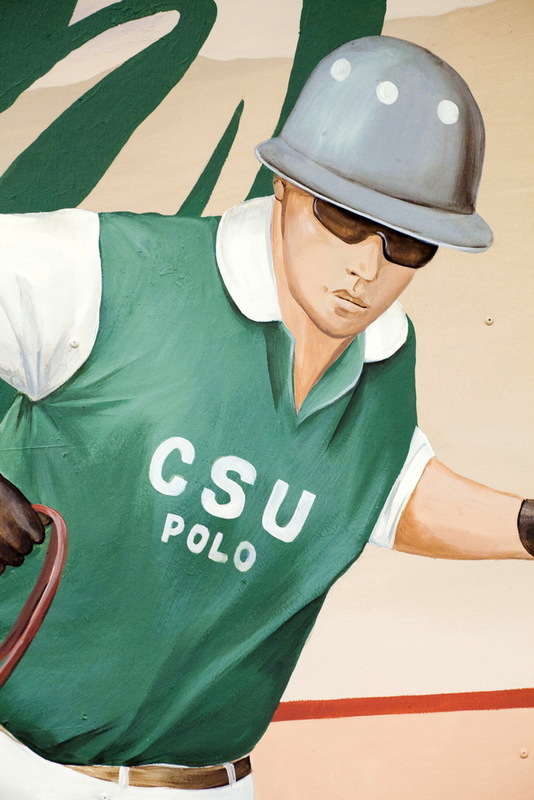 University’s polo team, a student-run sports club, is winning the National Championships. 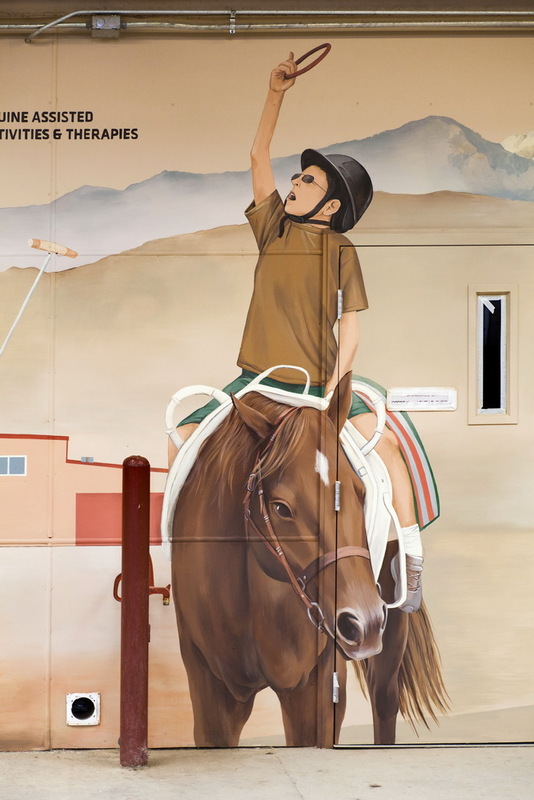 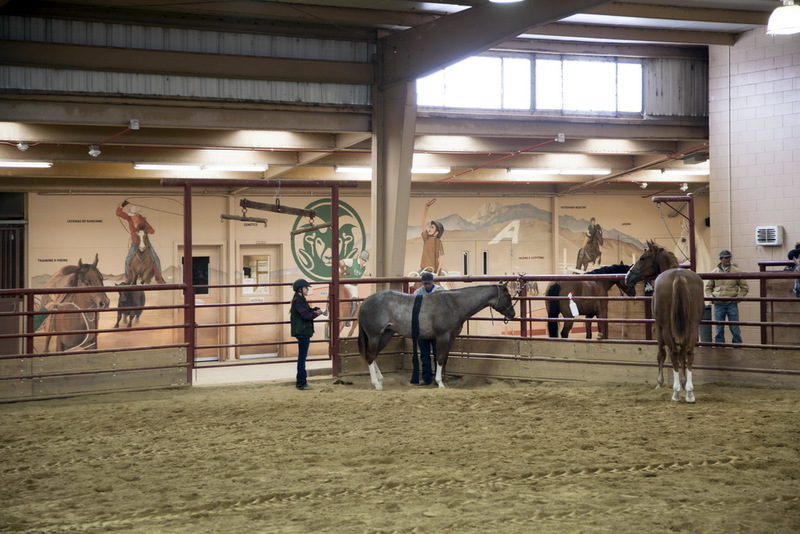 The equine-assisted activities and therapies programs and services are helping individuals with physical, emotional, and developmental challenges. 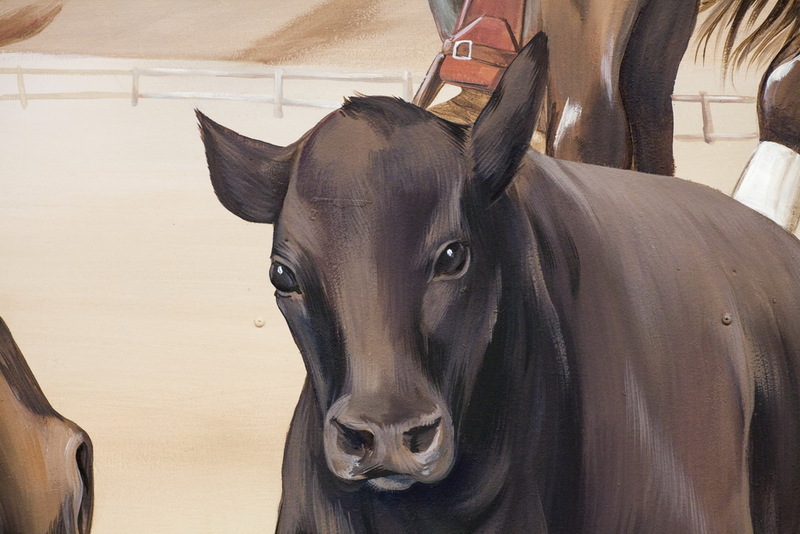 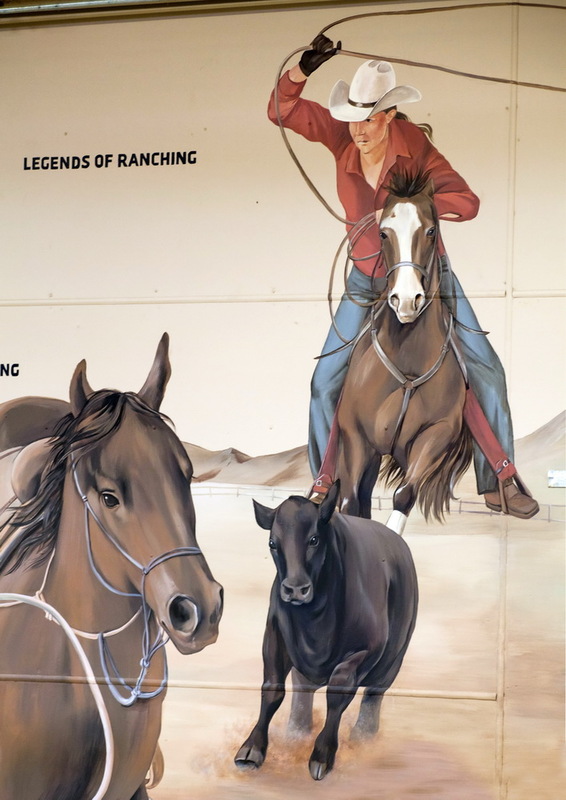 Legends of ranching and roping. 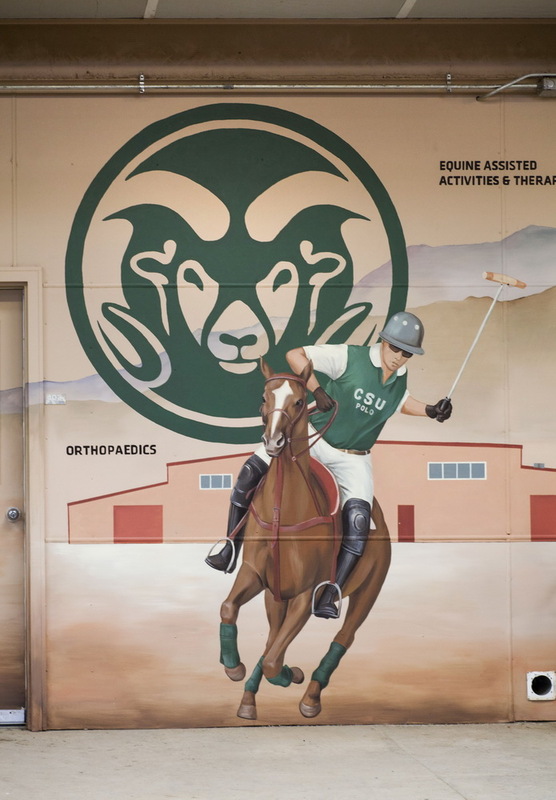 The mountain with a letter A on it is representing agriculture, the main focus of CSU in Fort Collins. 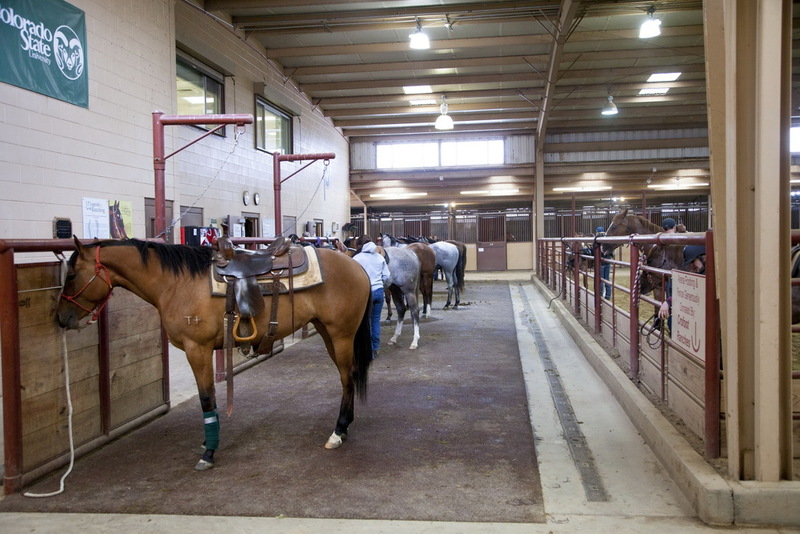 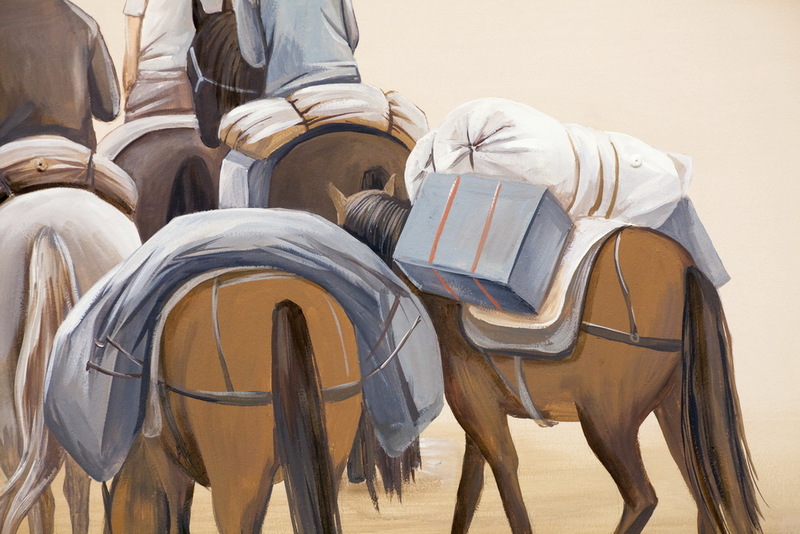 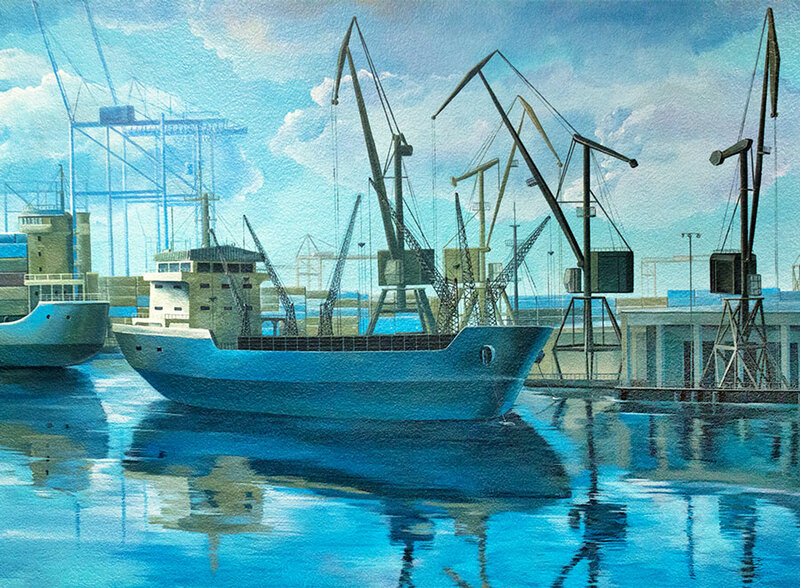 “Packing and Outfitting” – is another program that is being taught at the center. 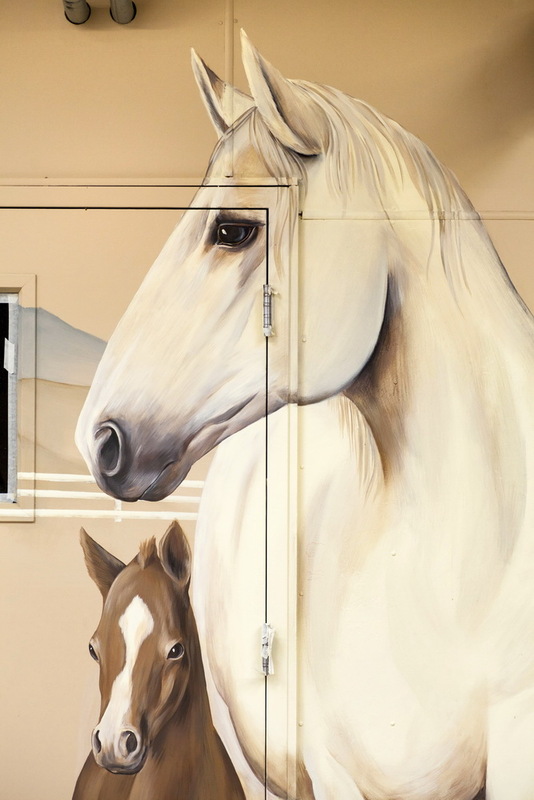 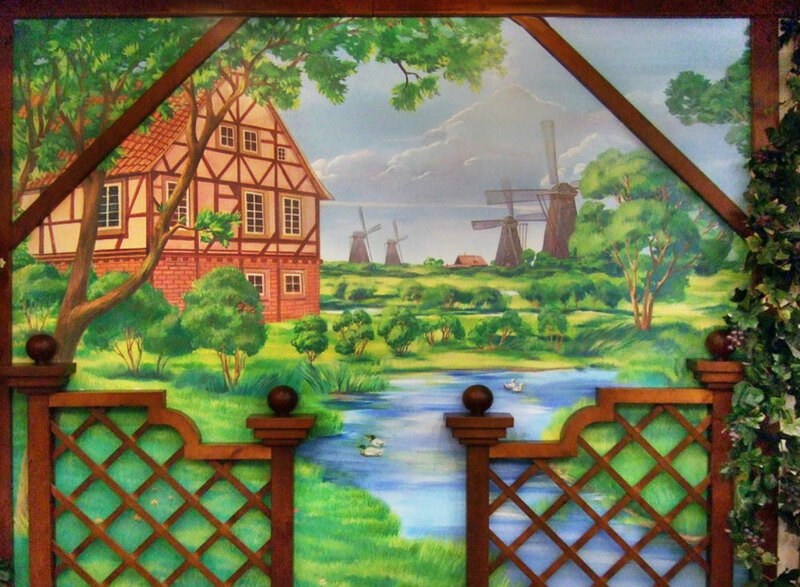 While painting the mural, Nick and I were surrounded by horses every day. 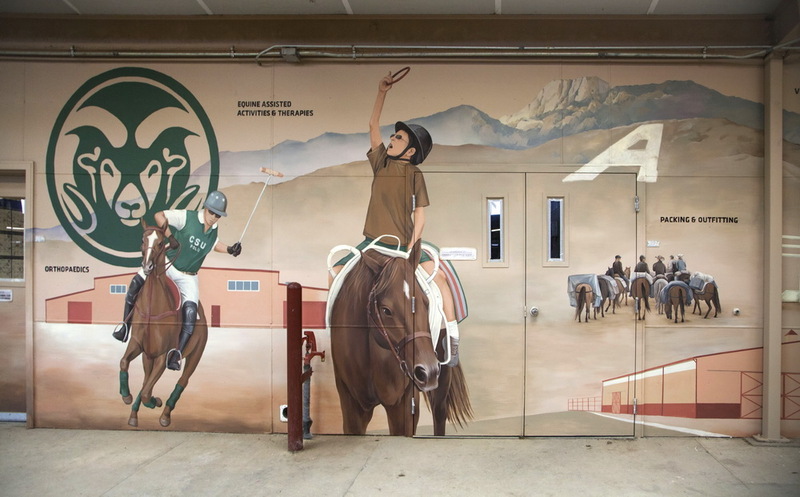 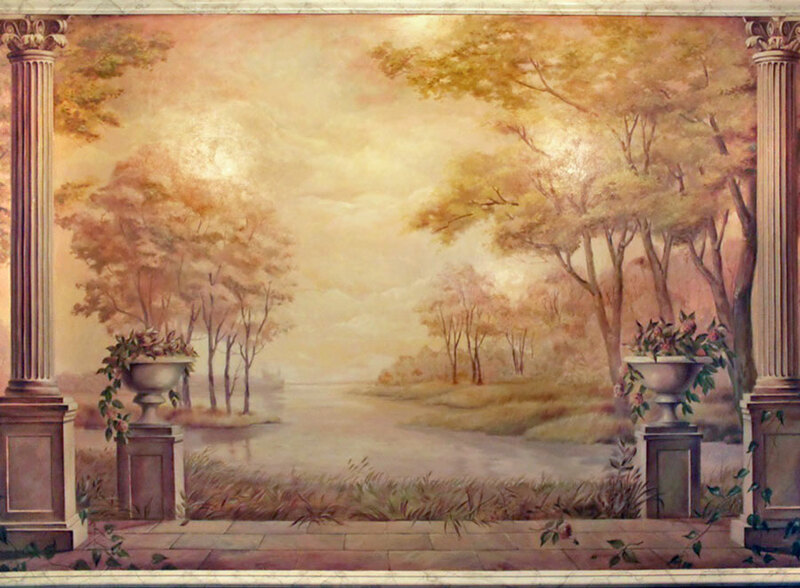 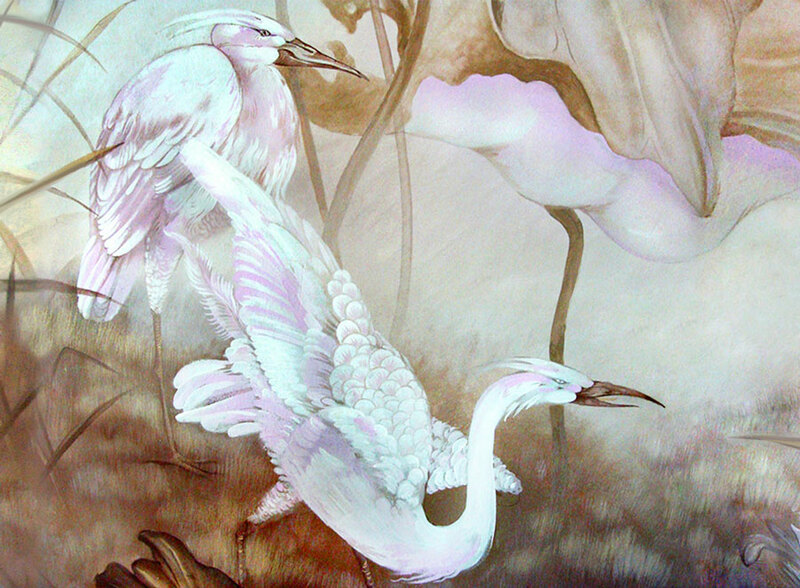 The mural is painted in the Adams-Atkinson Arena. 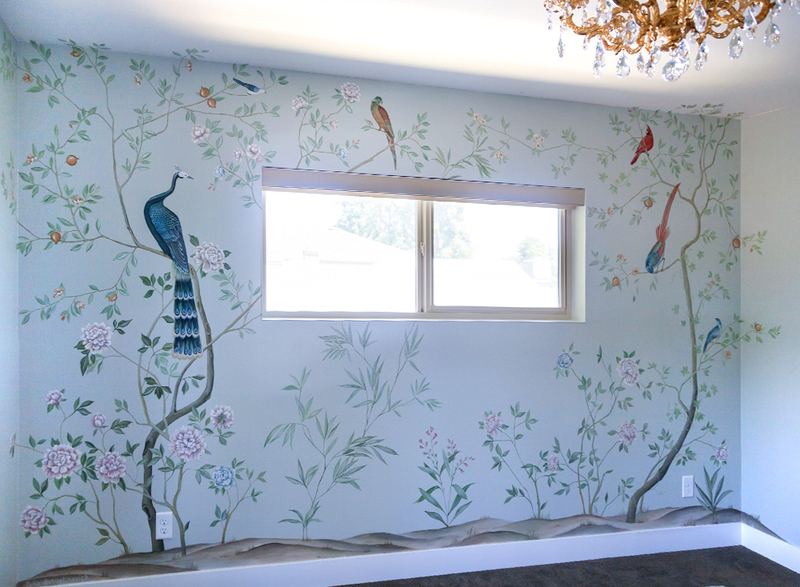 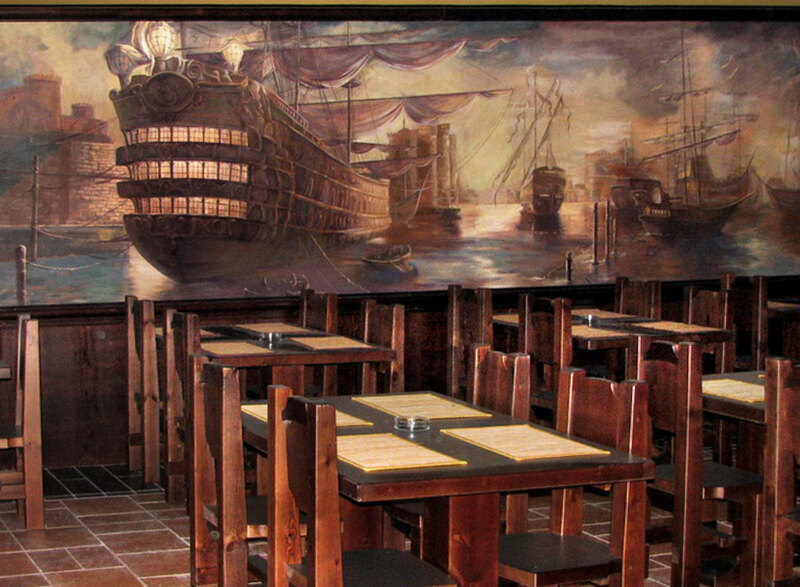 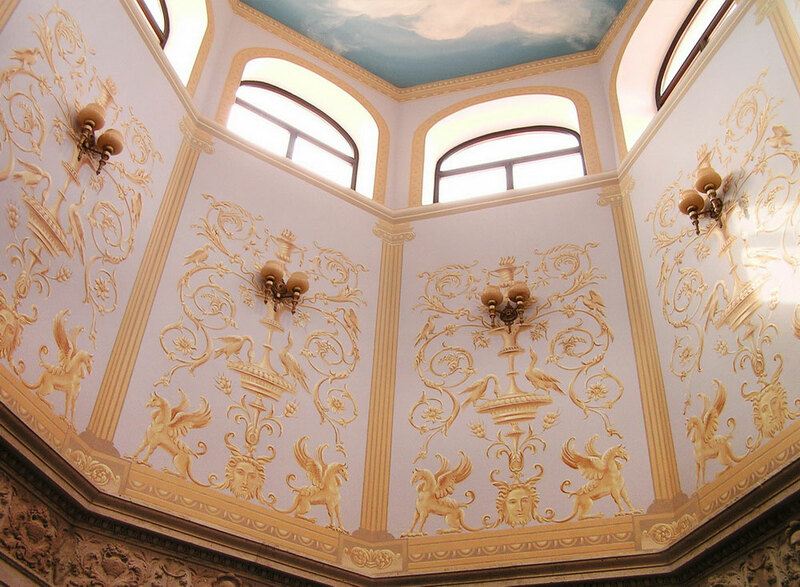 It is my first mural project in 2018.